The majority of golf bags are waterproof but there are many other factors that determine the best golf bags. Some are better for carrying around the golf course where others are best suited for your trolley. The best golf bag for your clubs that offers every feature you can possibly want is the Bag Boy Revolver LTD that even offers a cooler pocket for your drinks. Golf bags that you carry around are often lighter and come with strap whereas bags for the trolley are much larger and have additional features. The majority of carrying bags come with a strong stand to hold the golf bag upwards. Always ensure this is the case otherwise you may find yourself with a wet golf bag from the grass. Carrying your golf bag gives great benefits from exercise to the traditional look. 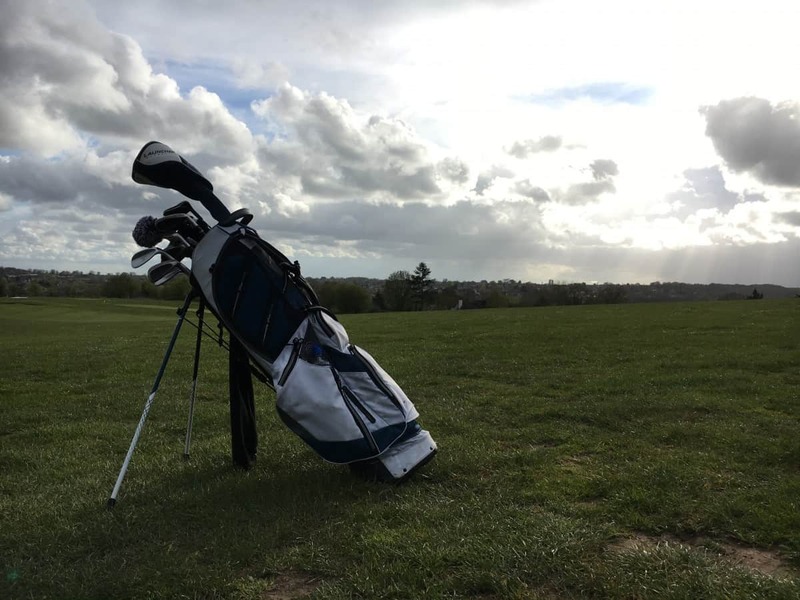 However, owning a golf bag for your trolley is more popular as it will reduce the fatigue on the course as well as provide additional storage solutions for clubs, tees, towels and more. Of course, it is your personal preference on the type of golf bag you choose. Below is a list of the best waterproof golf bags that mention both trolley and stand bags. The Bag Boy Revolver LTD is the ultimate golf bag for keen golfers looking for that little bit extra. The main party piece with this golf bag for your trolley is the 14 way rotating top where each club has its separate full-length divider. You can lock it into the position that you prefer and its a great piece of kit for preventing club hitting and damaging one another. In total, there are 8 pockets with the Bag Boy Revolver Golf Bag, where two are large apparel pockets. There is also a removable insulated cooler pocket for storing drinks. 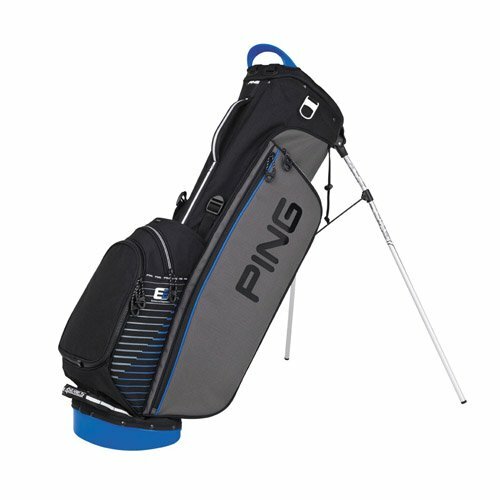 The exterior of this cart golf bag includes two integrated putter clips, golf tee storage, front ball pockets, towel and glove clips, cart straps and also comes in three different colors. In total, it is 9.9 lbs in gross weight and is ideal for a golf trolley rather than carrying due to the heaviness. Overall, it is the best cart golf bag and has many clever features. The only drawback is that you have to pay a premium but there are alternatives if this is out of budget. If the Bag Boy Revolver is slightly on the expensive side, the Founders Club Cart Golf Bag is the next best cheaper alternative. It includes a designated divider for 14 clubs like the Revolver but it doesn’t rotate. However, some may say that it’s less to go wrong and they rather not pay extra for it. It weighs 9.5 lbs and once you add the weight of everything else, it can become quite heavy. Realistically, this would be ideal for a motorized golf cart or electric golf trolleys because carrying this bag full with clubs would be very heavy. 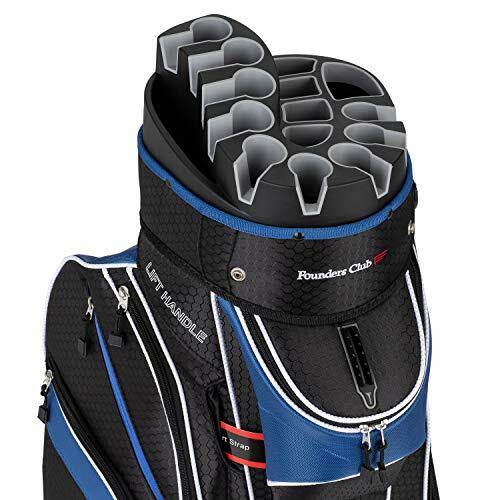 Overall, the Founders Club Premium Cart Bag is reasonably priced and is the best large golf bag for the money. Bags that also feature a divider are often double the price, making this cart golf bag very cheap. Many golfers prefer to have a recognizable brand and it doesn’t come much bigger than Callaway. 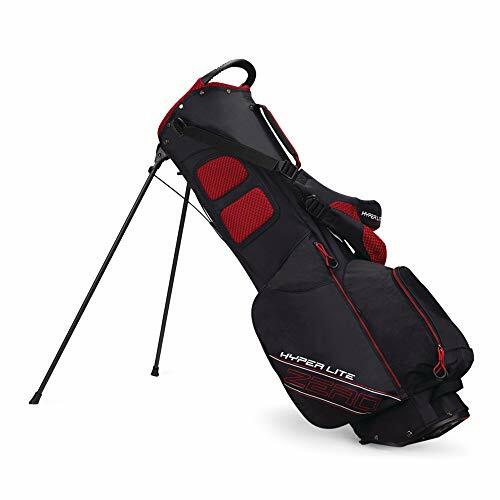 This golf bag is highly rated for quality and features from an integrated umbrella sleeve to multiple pockets for insulated cooling or secure storage. Like with the other cart golf bags, the Callaway model has 14 way full length divider for perfect organization. Other clever exterior features include 2 insulated cooler pockets, bottle opener and accessory hooks, umbrella sleeve, 2 molded grab handles and 10 water resistant pockets. The bag itself weighs a total of 5.8 lbs, which is very light in terms of cart golf bags and you can also choose from 8 different colors. Overall, it is the best golf bag for trolleys (both electric and push) due to the lightness but it is also great value for money. Callaway also offers a high-quality stand bag that is both large and lightweight at just 5 pounds in gross weight. It comes with a 7-way full-length club divider and 8 waterproof pockets to securely store your accessories. The latest Callaway stand bags use an improved comfort strap that makes carrying your golf clubs much easier. They are double strapped too to avoid one shoulder taking all the strain whilst walking around the golf course. Overall, it is the best stand golf bag for the money and offers 7 different color choices for the savvy golfer. One drawback for golfers with above average clubs is that the 7-way divider is too small. If this is the case, the Callaway Fusion Stand Bag has the same high quality and features but 14-way divider. 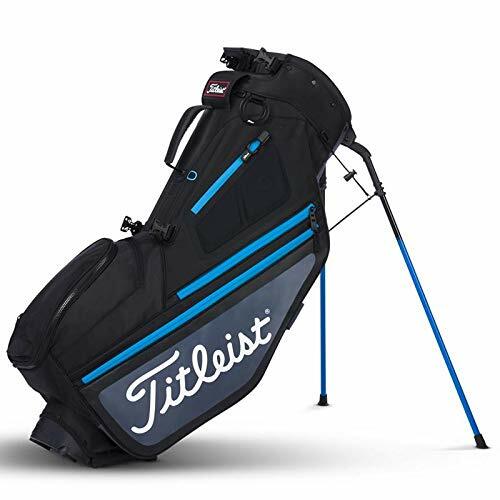 Titleist is another major golfing brand and their lightweight golf bag is a cheap alternative to the Callaway stand golf bag. It is by far one of the best-looking golf bags you can buy and is the perfect size and weight (5.7 lbs) for carrying on the golf course. It features a 4-way divider with large gaps, 6 pockets that are secured by zips, drinks pocket and an integrated lift handle. 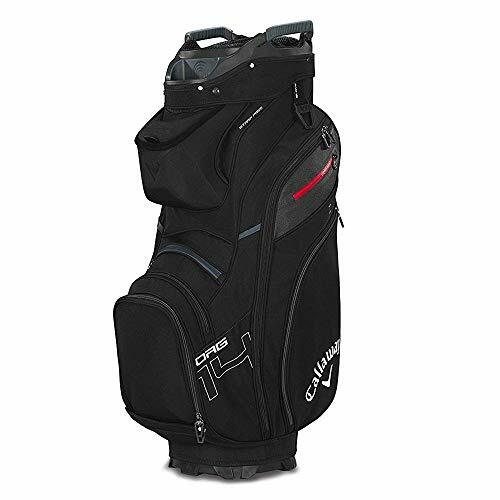 In terms of carrying this golf bag, it uses a double strap designed for comfort. Overall it is a great alternative to the Callaway but it is slightly heavier. It is, however, the best cheap stand golf bag you can buy with a premium golf brand. Finally, we have the PING stand bag that comes with three choices of colors. It has 6 pockets, 24-inch leg span for the stand, dual adjustable shoulder strap for carrying it and has a 4-way divider for your clubs. It is the lightest golf club bag in this article at only 4.5 lbs in gross weight. The material used is a rugged 600 denier polyester and also comes with a rain hood to protect the clubs from the wet weather. Some useful features that other lightweight golf bags do not have are an insulated water bottle pocket, umbrella holder and a towel loop. The golf bag is of a high-quality construction and aimed at being the most comfortable golf bag to carry around the golf course. It is the best light golf bag with a stand on the market and looks very attractive compared to other bags. As a golfer, your golf bag is always around you like a friend. It stays with you all through the round and houses all your gear while keeping them safe. This is why it is important you know which type of golf bag suits you. 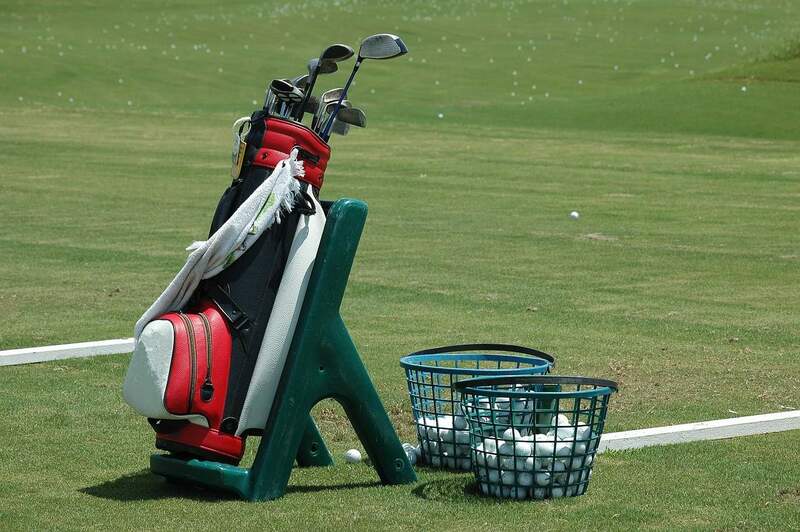 Where, when and how often you use it determines the type of golf bag you need to buy. When selecting a golf bag, functionality is the key. Are you thinking of shopping for the best golf bag, it is always necessary to have an idea of what you want? You should consider getting a bag that is lightweight and has other unique features that all golfers need. 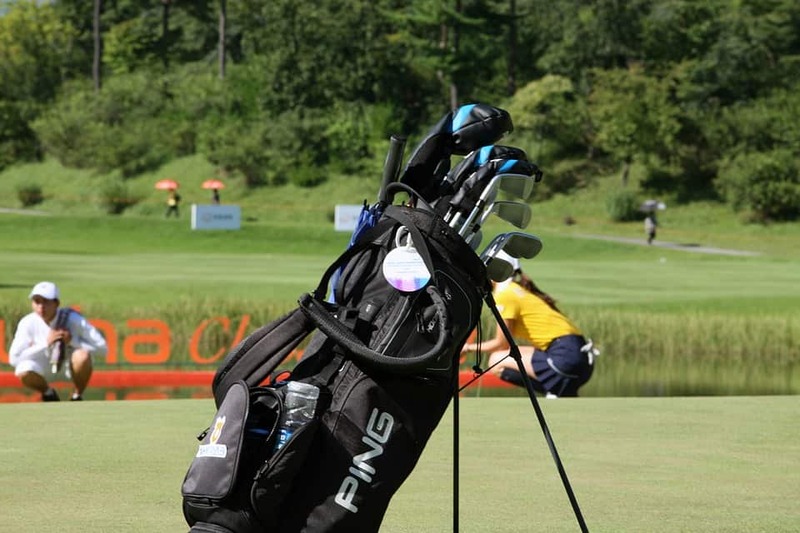 There are several golf bags which are designed for walking or trolley purposes, they do not come with a stand and most times they have enough room for few of your clubs or for the bare necessities like few clubs, ball, and tees. The best golf bag for walking is more than a “just in case” bag that can be kept in the trunk of your car for those times when you are not expected to be out of the course and the opportunity comes you don’t want to pass it up. Therefore, it is important that you have a good idea of what you want to buy and all the information you need to pick the best bag for all purposes. There are features which each golf bag has that are important to you, it is necessary you make up your mind on the bag you want that will meet your golfing needs. This should be known before you compare brands and models in the market. 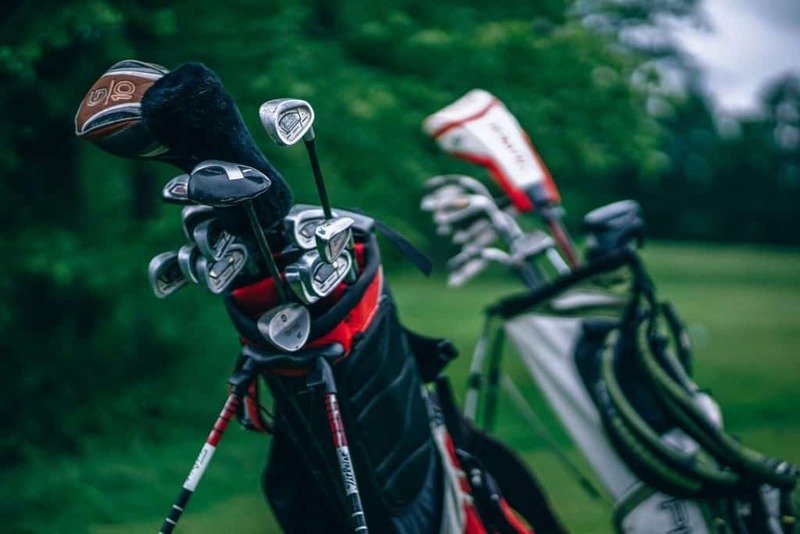 While there are different types of golf bags, most of these bags have similar features; we will consider some basic features that you need to know before you are able to make a decision on which golf bag is best for you. The weight of every item is considered before they are bought, this should still be the case for a golf bag. It is very important that you know the weight of the golf bag you want to buy, features like this matter if you intend to carry your full gear to the course. This should be one of your primary concern if you do not want to wrench your back from carrying a heavy golf bag. The best golf bag for trolley will be a good option for carrying a full gear, even if you pull or push a cart or if you make use of a push or electric trolley. You will need to buy a golf bag that is lightweight. Every lightweight golf bag has all the features you need in any other heavy golf bag; you really have to consider using a bag which is lightweight. Lightweight bags are important for emergencies or to be kept in the booth of your car. Most golf courses are in regions where the weather is not predictable, this is why you should be prepared for any kind of weather. The best golf bags come with rain cover or hood which protects your gear from rain if your golf bag doesn’t come with one you can actually buy a rain cover to actually fit your golf bag. Another unique feature is the towel ring; you can find it by the side of the golf bag. It is attached to a ring or loop on the side and this is designed to keep the towel handy for wiping off dirt from your gear. On some bags, it could be a ring, a loop or a clip always be on a lookout for any of these. Dividers as the name imply divide the top opening of a golf bag. The best golf bags have several dividers, the number of dividers on the golf bag may vary from one model to the next. Therefore, it is recommended that you check the number of divider system to be sure it meets your needs. Most golf bags have no divider system, getting a bag with a divider system is the best way to ensure that you do not waste time fumbling into your bag to find the right club. Dividers allow each club to have one opening. The best golf bag has up to 14-way dividers that mean you could give each of your clubs a different spot. Only the best golf bag has a full-length divider system, the rest of the bags have just top divider system this means all the clubs will touch each other in the bag. You might want to check the handles and straps of your bag since you will be holding your bag for most of the time. Ensure that the handles or straps are functioning well as you would like them to, for instance, if you want to make use of the best golf bag for walking, then you need to ensure you get a bag will dual backpack style. On the other hand, if you do not plan to work around with your golf bag over your shoulders, you can get a single strap golf bag which you can sling over your shoulder as you walk. Get a golf bag that will be able to distribute the weight across your shoulder well if you intend to walk all through the course. Having a separate area for your putter well is good, but not all golf bags have this. The main advantage of having this compartment is that it prevents the putter from damaging the shafts of other clubs. It also protects the putter head. Every golfer needs enough room for things like balls and tees. Most golf bags have just one or two pockets while others have more than a dozen pockets. Before you buy a golf bag you need to think of the kind of gears you will likely have with you during rounds or at a range. Things like spare tees, balls, windbreaker or rain jacket. You need pockets for rainwear or a lightweight jacket in case you are on course when it rains, items like cell phones, the wallet can also be placed in your pockets instead of in your pants. You need valuable pockets so that you can house your water or beverage holster. Some golf bags have cooler pockets where you can store any drink if it rains more frequently where you go to golf, you need to take an umbrella with you which means you need a golf bag that has an umbrella pocket. To an avid golfer, there is a different pocket for every occasion, a pocket is not simply a pocket. I will review some pockets so that you can decide which one you want and be on the lookout for them. Most golf bags have this type of pocket; it is your standard pocket. Gears like your tees, pitch mark repairers, and the ball can be kept in this pocket. All you have to do is simply zip up and you are ready for the golf course. This type of pocket is positioned in the same place like every other pocket, they are designed for more precious items, therefore, they should not be used to store items with abrasive edges like balls or tees. Items like wallets, phones and other such items can be stored there, and you can be assured of its safety thanks to the soft fur, fleece lining that are used in this pocket. This type of pocket is a water-resistant pocket. In cases where a soft fur/fleece lining pocket cannot keep your wallet or phone safe manufacturers have designed a waterproof pocket. It has a waterproof lining and a waterproof zip that will keep and protect your valuables in adverse weather conditions. With the invention of this type of pocket, you don’t have to worry about playing golf under the rains. Since pockets are so important to golfers, manufacturers have decided to design a pocket that can keep cold thing cold and hot things hot. Thermal pockets are the best are what they do, they can keep your snacks and drinks cold in the summer sun and then they can keep anything a little warm in the winter. It serves the purpose of a thermos flask; its special reflective lining gives the pocket its magical powers. One last thing you should take important is the material of the bag. Ensure that you buy a bag which is made from a durable and long-lasting material. 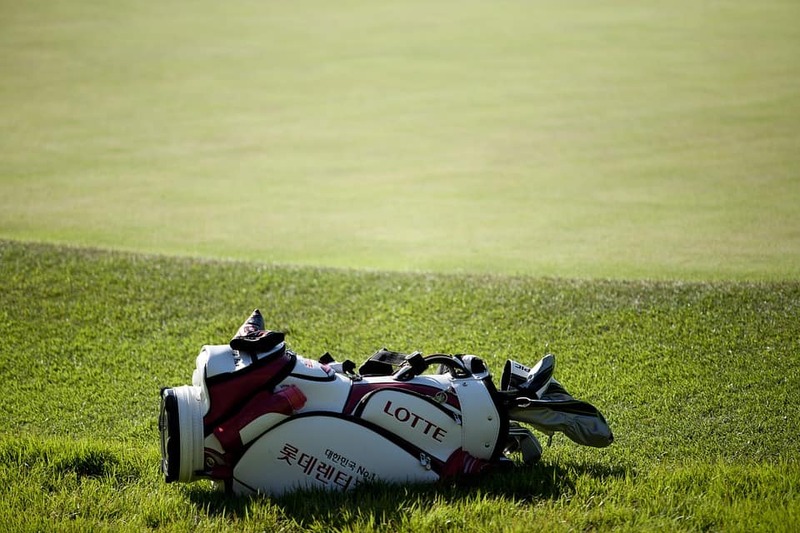 The materials which are commonly used to make golf bags are leather, nylon, and canvas. The material your golf bag is made from is very important, a good and durable golf bag that will actually work for a long time are those type which is made from waterproof materials. You can find bags like this which can withstand any weather condition, they are always a bit pricey than other materials but they are the good stuff. If you cannot afford any of these materials, you should consider getting materials like; Nylon is the most common for people who like to play in all weather conditions. However, if you want a luxurious golf bag you should consider buying leather. Leather golf bags are also durable and long-lasting if taken care of and if the right and quality leather material are used for its production. 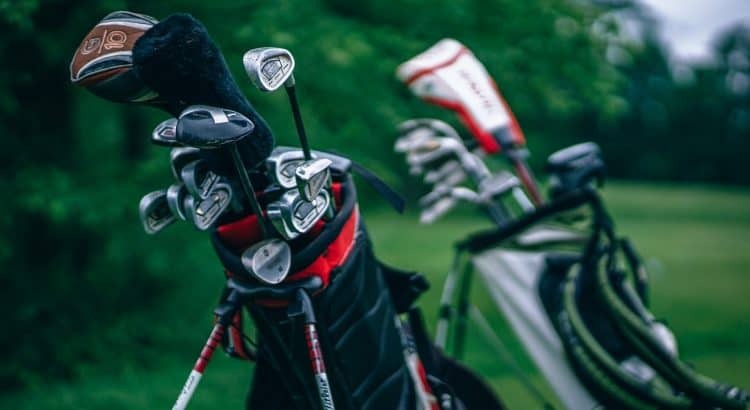 When you put all the factors outlined in this guide, you will be able to get the suitable golf bag that will serve all purpose you want to use it for. As the name implies, this type of golf bag is carried or put over the shoulder that is why they are referred to as carrying golf bags. The most important advantage of buying these type of bags is; This type of golf bags are usually lightweights and are designed for just a few clubs. Since it is carried on the back, they usually have back straps and are therefore designed to have enough room for the basic golf gears like a few clubs, tees and balls so that the weight of the back will still be light. This golf bag is great for walking and also has all the unique features of a golf bag. These types of bags may be lightweight, but the main disadvantage of this type of golf bag is, it is not designed for everyday use. The carrying golf bags are the type of golf bag you keep in the car trunk in case an opportunity presents itself and you do not want to miss it. It may have room enough for the basic golfing gears, but it has limited space for extras. The carrying golf bags may be lightweight but they pose a lot of discomfort to the user because they cannot stand and they have to be carried all the time. The most important advantage of trolley golf bags is that they are big enough that they can house all your clubs and gears. And the good thing about it is you don’t get to carry the bags. These type of golf bags are placed on a cart or trolley and moved around the course. Another advantage is these kinds of bags have large divider systems for all your clubs, they also have cooler pockets and other valuable features. You do not have to carry your own bag, you can own your cart, there is room for all your gears and a lot more when you buy trolley golf bags. It is suitable for walking the course and travel purposes. The trolley golf bags are often heavy and can only be carried on a trolley or cart. This means it cannot be used in cases of emergency, only when you actually want to go for a full golf range. We have just discussed the benefits of using the golf trolley, most golfers prefer to use a golf trolley instead of carrying a golf bag with a stand. It is so common amongst people from young or old, male or female. They all prefer the easy way of using trolley instead of carrying the bags in their bag. They have been so many new innovations in the design, material and overall building of golf bags and trolleys. New technology trends have evolved which includes building and making a push and electric trolley. In recent years, golfers have been given a choice to choose between push and electric trolley, the push trolley is the one which has been used to carry our bags for a long time while the electric trolley is a new innovation which is easy, quicker and smaller. They can fold down easily and maneuver on the course. There are so many factors to consider before you decide if you want to buy an electric trolley or push trolley golf bags. You need to consider the price; do you have enough money on your budget to get either of the trolleys or get the carrying golf bags with a stand. If you decide to go with the push trolley, you should know that they are manually powered and they tend to work better when ridden on flatter courses. What makes the push trolley better than carrying golf bags with stand is that its wheels’ bearings are sophisticated therefore they tend to glide smoothly along the fairway with no strain on your body and your arm in front of you. If even you choose to go with the electric trolley your body will notice no strain instead energy will be conserved and you will be able to hit that ball with no tiresome feeling from carrying a bag. The electric trolleys are more fun than the push trolleys they have so many unique features like a USB charging port for your device, an automatic distance function which will be set off to move to the next tree while you putt out, a lost timer and several other features. All these factors make it even more enjoyable to choose trolleys over carrying your golf bag with a stand. Opt for a trolley instead of carrying your golf bag, you may likely get a push trolley or an electric trolley. Push trolleys are more compatible and can even fit into your car boot when folded you do not have to change batteries like in the case of electric trolleys. Whichever trolley you decide to pick; it is way better than carrying a heavy bag over your shoulder. I recommend that when shopping for a golf bag you pick a bag which can be carried on a trolley. After purchasing the best golf bag for the money, there are some simple tips you need to do to keep your bag clean and in a good working condition. Once you start taking care of your bag, you will enjoy using it to go out on a golf course. I could go on and start mentioning basic cleaning tips we all know, but cleaning a golf bag requires much more care, it’s like cleaning a brand new car to keep it running like new. The following step can help you maintain your golf bag. Clean your golf bag when necessary with a clean and damp towel to remove any pollen, debris or dirt. When packing up your golf gear be careful what you put in the pockets of your bag. Items that melt or get wet after a round or a short period of time should not be placed in the pockets. Clean the pockets and allow to dry before placing any other item in the pockets. This method will help prevent your bag and items from moulding. Always store your bag in a place where there is no dust, you can drape a bag or sheet of plastic over the golf bag to prevent dust or airborne particles from accumulating on your gear. Any bag that doesn’t have a water resistant feature should not be placed on wet grounds to avoid being soaked. The material from which the bag was made should be considered before buying a golf bag. If you will be playing in a raining environment, you should consider getting a bag which is made from water-resistant material. This Golf bags guide contains information which should help you decide which bag is most suitable for you. You will notice that most of the features are available for the majority of the bags. Most of the features you will find on all the bags include loops for attachments like brushes and towels. All carry bags have accommodation for a large umbrella. Most Cart and staff bags have dedicated storage spaces for umbrella while a carry bag has ties or loops. A carry bag will likely have rain hoods. Low quality and high-quality bags have at least one velour-lined valuables pocket. Upgrading to a waterproof bag may be costly but it is worth the price if you ever get caught in a downpour. You may have noticed that manufacturers are adding legs to some cart bags and some carry bags have become as big as cart bags. It will be very useful if you have the cart bag for travelling and the lightweight carry bag as a backup for last minute invite to a club. Like every other equipment you buy, what you pay for that’s what you get. With this guide, you should be able to shop for the golf bag that will be suitable for you even within your price range. Our choice for the best cart golf bag is the Bag Boy Revolver LTD and the best stand golf bag is the Callaway Golf Hyper Lite 5.